A few months ago the UW decided to buy out KPLU, a popular radio station that competed with the UW’s named station, KUOW. A public outrage stopped the buyout and rescued KPLU. Next week the UW will send backhoes and bulldozers to tear down a historic building, the UW’s nuclear reactor building. The building is on the historic register and, under City of Seattle rules, should have been discussed by the City Council. Instead, yet another of Seattle’s few worthwhile pieces of architecture will be dust. As with the KPLU, the UW acted outside of the public process. Using its publicly funded legal resources and foregoing even a discussion by the UW Senate, the poobahs from the administration went to court and blocked efforts to have a public review. 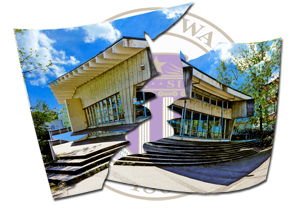 The UW again is acting as if it is not part of Seattle. This is hardly the only problem with the UW acting as if it were surrounded by some ivy covered wall. The campus has been notably absent from city wide issues that should reflect the UW’s interests .. from a lack of involvement in planning for the new waterfront to the creation of a major Pacific rim museum on campus .. apparently with no concern for city plans for public museums like SAM and MOHAI that have overlapping interests. Even more striking is the lack of pubic discussion bout the role of the UW as major cultural resource in the developer dominated process extending form SLU to the University District. Meanwhile, the UW is building a branch graduate campus in Bellevue while Seattle is having huge angst about how to be more than a doimitory for Amazon. “Our” here means Seattle, not just the UW administration. For me, the issue is not just whether the reactor isa thing of beauty. The issue is process and participation. Legal issue aside, the reactor building should be discussed as a part of our public heritage. If you wish to express an opinion, you can come tomorrow to a pubic meeting of the UW Regents. The meeting is in the Peterson Room of the Allen Library with public discussion at about 11. You can also sign a petition. ← What if Trump drops out?